It really does not matter what the weather is doing outside, we all know how important it is to stay warm and dry when indoors this is vital to our happiness and also to our families health. Moisture inside a property can have widespread consequences for the owners, residents or even the building itself. 1. Humidity can lead to moist air that can have major health repercussions for people who are regularly exposed to it, including (but not limited to) asthma, allergies, skin irritation, headaches and nausea. These units can remove moisture from the air to prevent this. 2. Dampness caused by humidity can lead to significant property damage. This will result in expensive repairs to the home, all this can be avoided with the help of a dehumidifier. 3. Dampness & mildew leave a horrible smell and if that happens in a car or home, it could be difficult to live with and potentially embarrassing in some situations. 4. Losing heat. The dampness caused through humidity can make it difficult to heat rooms to cozy temperatures. 5. Different rooms in the home can be more susceptible to humidity-related problems, such as basements and lofts. By investing in a portable dehumidifier for the home, people can move it to whatever area of the home requires dehumidifying. 6. 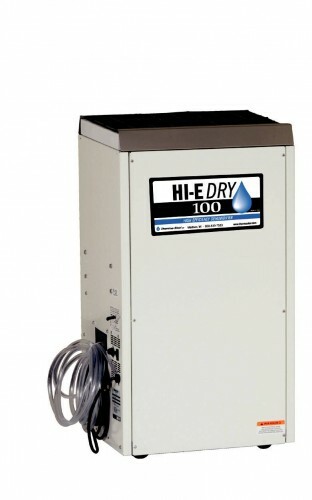 You could use the water collected from a dehumidifier to water your plants or fill a pool. 7. Nice and quiet, gone are the days of loud, distracting units. Quieter options have revolutionized the market so that people can treat the dampness in their properties without it impacting on their life. 8. You can even use one of these units to dry your laundry indoors because today's products can make rooms warmer and drier, this can be a great option for people who have little space. 9. Some properties and environments can suffer from humidity more than others, which is why it's sensible to take preventative action, rather than just attempting to deal with an existing problem. These units are able to prevent dampness, mildew and mold from appearing in the property. 10. If a property gets a leak or flood, a dehumidifier is often the most effective and efficient way of drying the room, along with the appropriate amount of air flow. Investing in a dehumidifier for your home, could save you money on heating and cooling the home and in future repairs due to problems with high humidity. This article was published on Thursday 27 December, 2012.